Vittorio Artist Man Vests "TREBBIO"
Vittorio Artist Man Vests "ROSETO"
Vittorio Artist Man Vests "VALENTE"
Vittorio Artist Man Vests "STRESSA"
Vittorio Artist Man Vests "REGAL-VEST"
Vittorio Artist Man Vests "ΝΟΗΟ-VEST"
Jack & Jones Man Vests "GRAND WAISTCOAT"
Vittorio Artist Man Vests "Β-STRECH"
Vittorio Artist Man Vests "SARNO-V"
Vittorio Artist Man Vests "BELLANO-V"
Premium Denim Man Vests "VESTCROSS"
Vittorio Artist Man Vest "LONG"
Vittorio Artist Man Vest "ELEGANT"
Vittorio Artist Man Vest "RIVAPLUS"
Vittorio Artist Man Vest "PALERMO"
Vittorio Artist Man Vest "RIVA"
Vest named “TREBBIO” by Vittorio Artist (TREBBIO-VEST) in blue color with back made of satin fabric. Made in slim fit and it closes with buttons. Vest named “TREBBIO” by Vittorio Artist (TREBBIO-VEST) in beige color with back made of satin fabric. Made in slim fit and it closes with buttons. 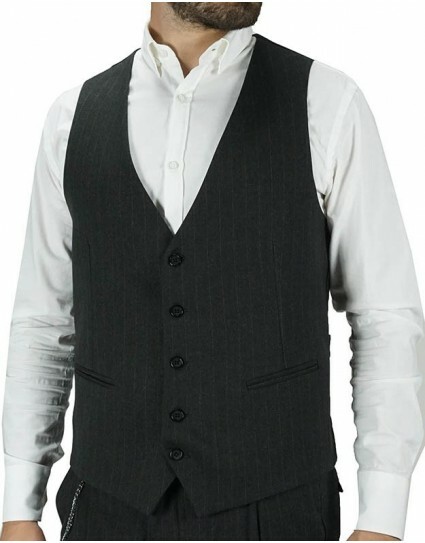 Vest by Endeson (2500) in black color made of cabartin fabric. Made in slim fit and it closes with buttons. Vest by Endeson (2500) in royal blue color made of cabartin fabric. Made in slim fit and it closes with buttons. 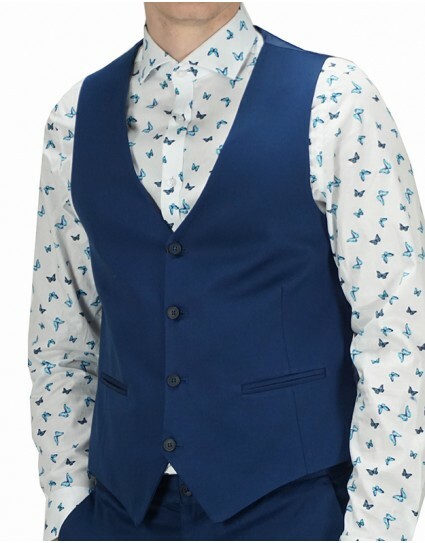 Vest by Endeson (2690) in blue color with checkered pattern design. Made in slim fit and it closes with buttons. Vest by No Name (38124707018) in beige color with checkered pattern design. Made in slim fit and it closes with buttons. Vest named “ROSETO” by Vittorio Artist (ROSETO-V) in grey color with double buttons. Made in slim fit and it closes with buttons. 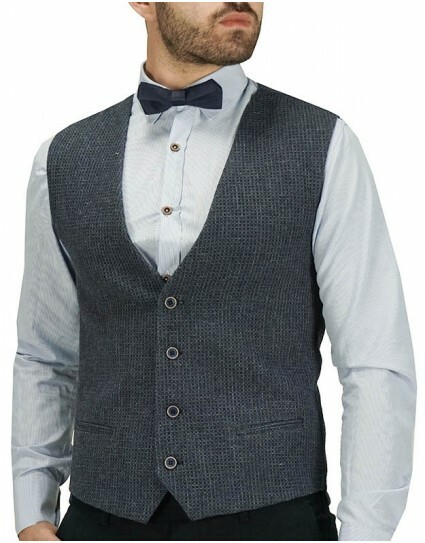 Vest named “VALENTE” by Vittorio Artist (VALENTE-V) in grey color with checkered pattern design and double buttons. 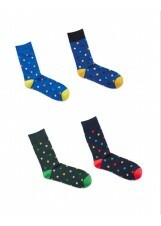 Made in slim fit and it closes with buttons. Vest named “STRESSA” by Vittorio Artist (STRESSA) in grey color with petit checkered pattern design. Made in slim fit and it closes with buttons. 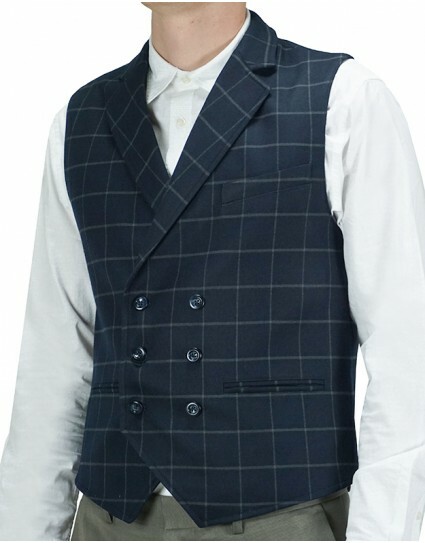 Vest named “STRESSA” by Vittorio Artist (STRESSA) in blue color with petit checkered pattern design. Made in slim fit and it closes with buttons. 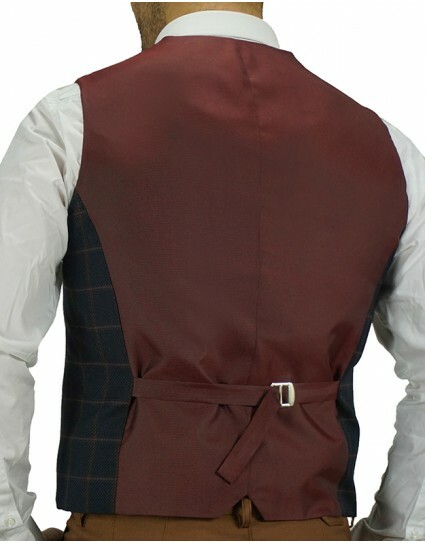 Vest named “REGAL-VEST” by Vittorio Artist (REGAL-VEST) in bordeaux color with satin back. Made in slim fit and it closes with buttons. 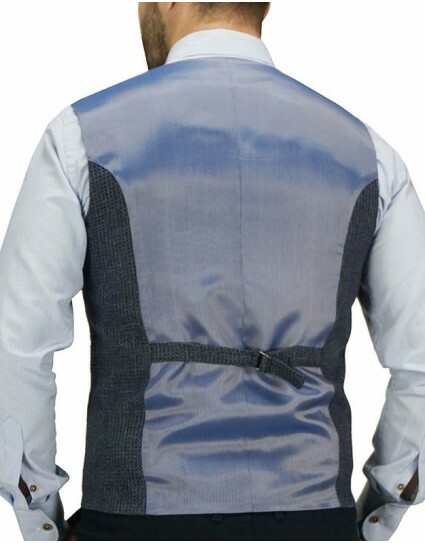 Vest named “REGAL-VEST” by Vittorio Artist (REGAL-VEST) in grey color with satin back. Made in slim fit and it closes with buttons. 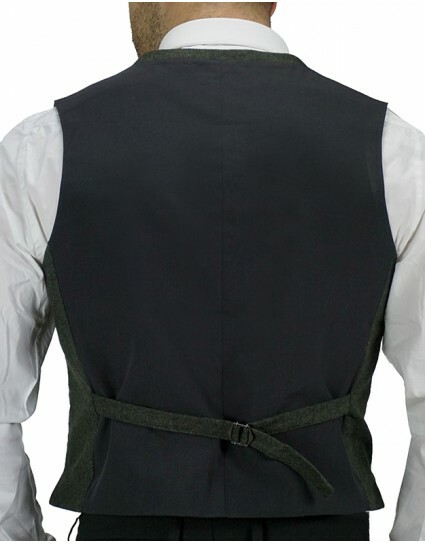 Vest named “ΝΟΗΟ-VEST” by Vittorio Artist (ΝΟΗΟ-VEST) in black color made of cabartin fabric with satin back. Made in slim fit and it closes with buttons. 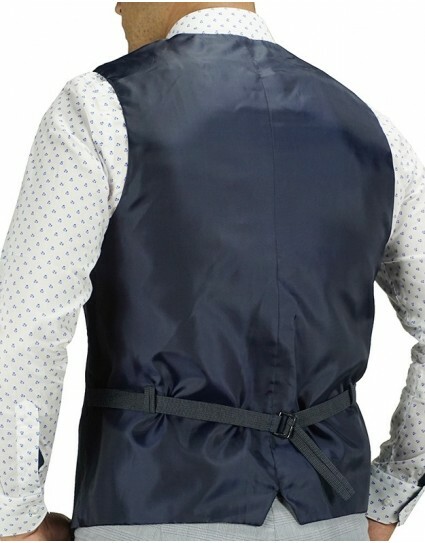 Vest by Italian Job (720293/V) in navy color with checkered pattern design and satin back. Made in slim fit and it closes with buttons. 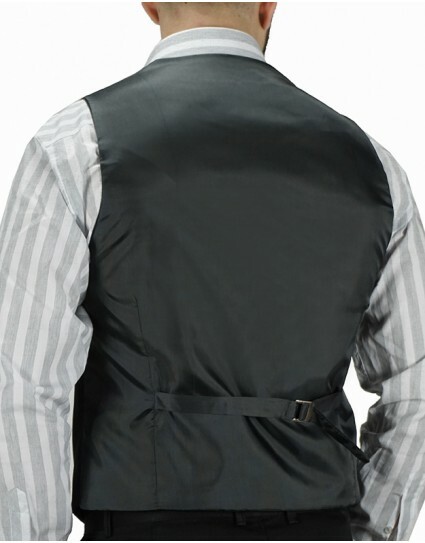 Vest by Italian Job (723282V) in black color with checkered pattern design and satin back. Made in slim fit and it closes with buttons. 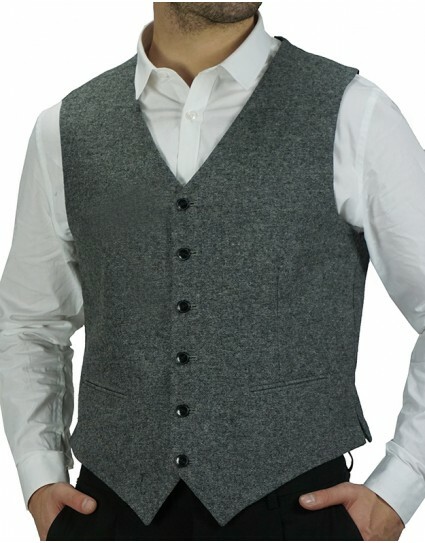 Woolen vest named “GRAND WAISTCOAT” by Jack & Jones (12127887) in grey color with cloth back. Made in slim fit and it closes with buttons. 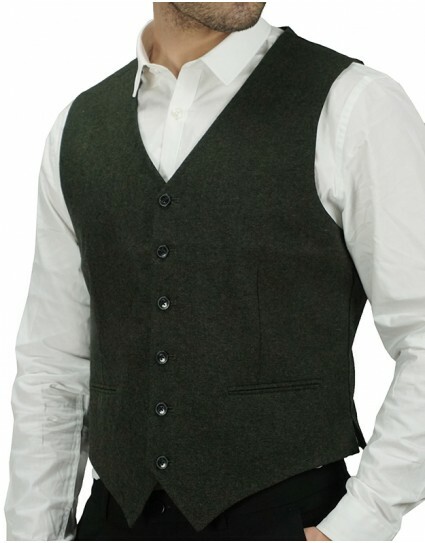 Woolen vest named “GRAND WAISTCOAT” by Jack & Jones (12127887) in green color with cloth back. Made in slim fit and it closes with buttons. 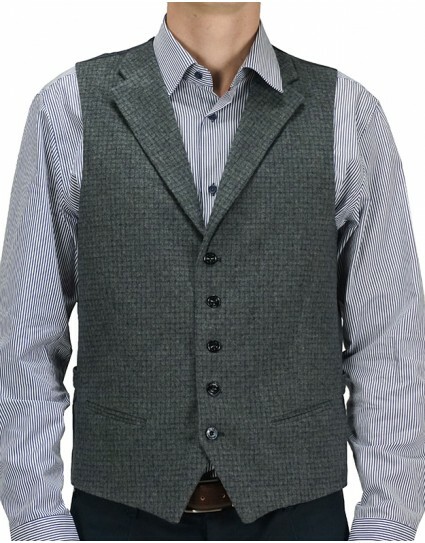 Woolen vest named “GRAND WAISTCOAT” by Jack & Jones (12127887) in blue color with cloth back. Made in slim fit and it closes with buttons. 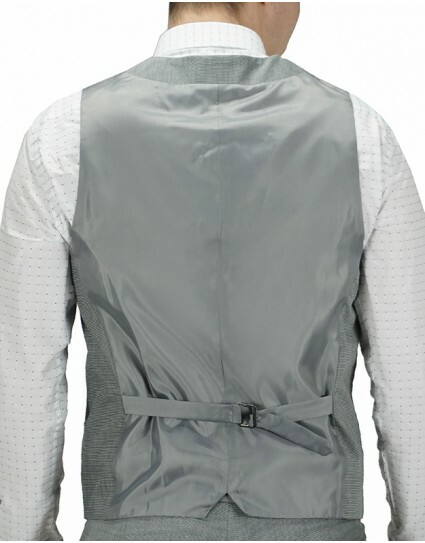 Vest named “Β-STRECH” by Vittorio Artist (Β-STRECH) in grey color with satin back. Made in slim fit and it closes with buttons. 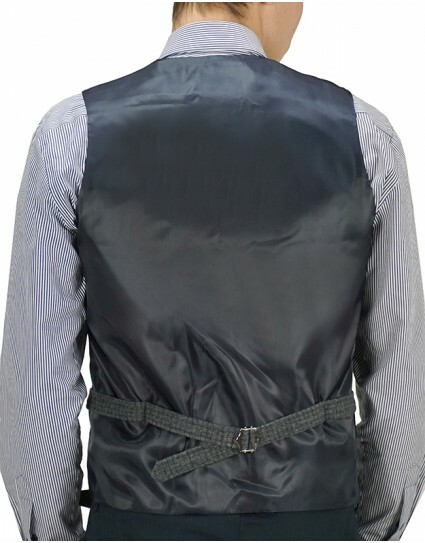 Vest named “Β-STRECH” by Vittorio Artist (Β-STRECH) in black color with satin back. Made in slim fit and it closes with buttons. 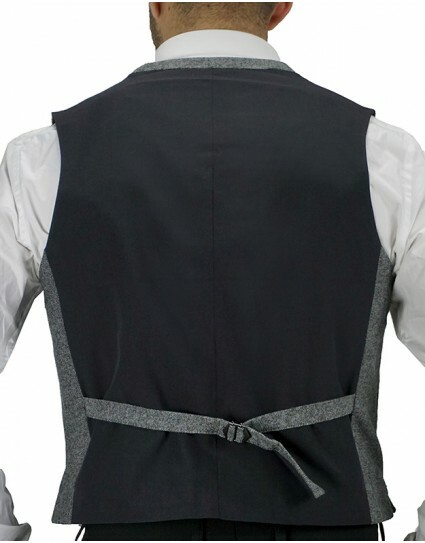 Vest named “SARNO-V” by Vittorio Artist (SARNO-V) in grey color with checkered pattern design and satin back. Made in slim fit and it closes with buttons. 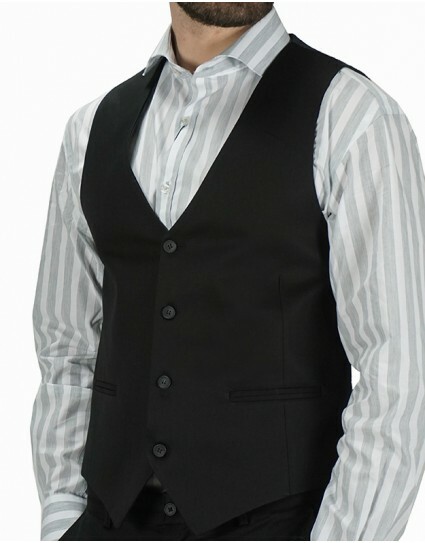 Vest named “BELLANO-V” by Vittorio Artist (BELLANO-V) in grey color with petit checkered pattern design and satin back. Made in slim fit and it closes with buttons. 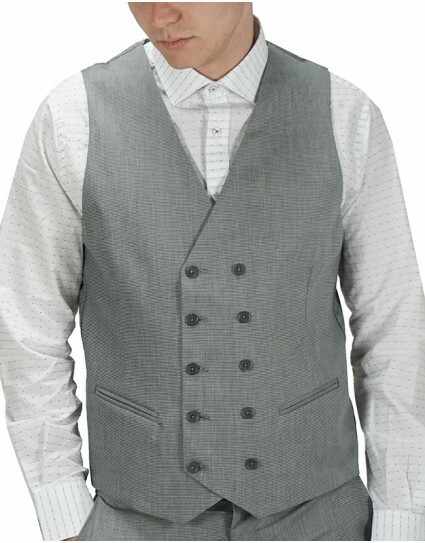 Vest by Me & My (709) in grey color with with lapel and checkered pattern design. Made in slim fit and it closes with buttons. 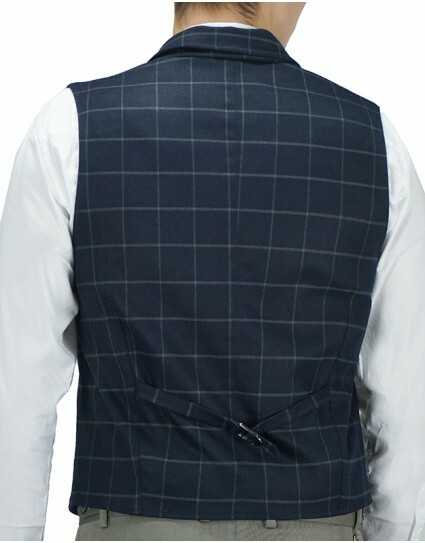 Vest by Me & My (709) in navy color with with lapel and checkered pattern design. Made in slim fit and it closes with buttons. 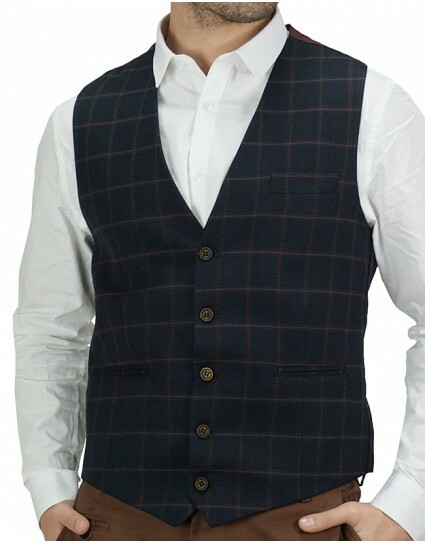 Vest named “VESTCROSS” by Premium Denim (VESTCROSS-2322) in navy color with lapel, checkered pattern design and double crossed button line. Made in slim fit and it closes with buttons. Vest by Red Crow (2970) in grey color made of cabartin fabric with petit-checkered pattern design and crooked button line. Made in slim fit and it closes with buttons. Vest by Red Crow (2970) in blue color made of cabartin fabric with petit-checkered pattern design and crooked button line. Made in slim fit and it closes with buttons. Sleeveless textile vest by Premium Denim (2226) in black color with mao collar. Made in slim fit and it closes with zipper. Long vest named “LONG” by Vittorio Artist (LONG) in black color made of cabartin fabric with one button. Made in slim fit. Vest named “ELEGANT” by Vittorio Artist (ELEGANT) in anthrachite grey color made of cabartin fabric with satin fabric on the back. Made in slim fit. Vest named “RIVAPLUS” by Vittorio Artist (RIVAPLUS) in bordeaux color with made of cabartin fabric with discreet dotted pattern and satin fabric on the back. Made in slim fit. Piquet vest by No Name (351243110) in anthrachite grey color. Made in slim fit. 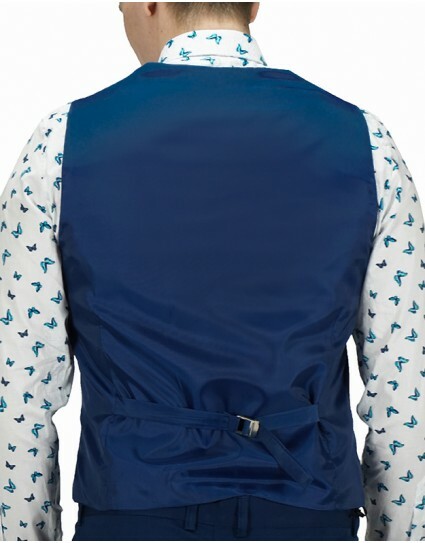 Vest by Bizzaro (8192.899GIL800) in navy color with “beehive” micro-pattern design and back side made of satin fabric. Made in slim fit. 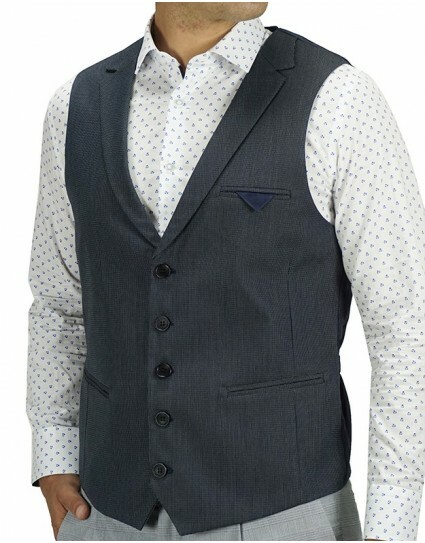 Vest by No Name (351243107) in grey color with micro-pattern design. Made in slim fit. Vest named “PALERMO” by Vittorio Artist (PALERMO-VEST) in anthrachite grey color with stripped and satin fabric on the back. Made in slim fit. Vest named “RIVA” by Vittorio Artist (RIVA) in blue color with micro-pattern design, lapel and back made of satin fabric. Made in slim fit and it closes with buttons.